2015 was a banner year for LiveRez! As we head into 2016, we wanted to look back on all the incredible events that took place in the past 12 months. Check out the list below to re-live our biggest moments in 2015. 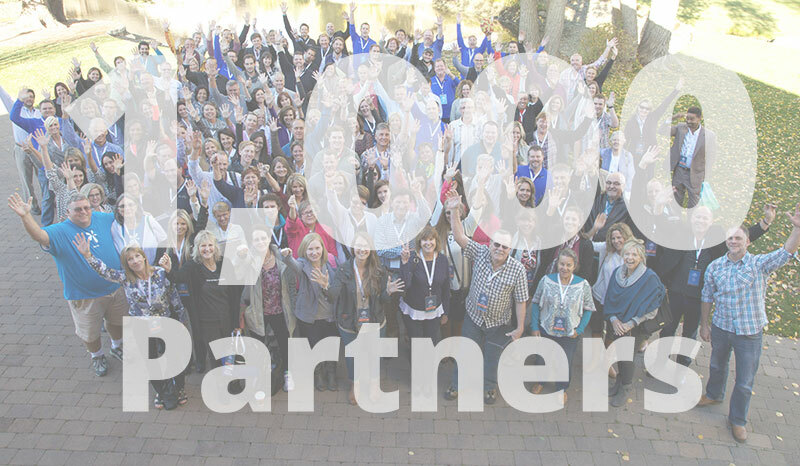 On Nov. 23, LiveRez partnered with its 1,000th professional vacation rental manager. What made this milestone so special for us was how it was done. In contrast to many of our main competitors which have grown through mergers, acquisitions and consolidation, LiveRez’s growth has been 100 percent organic. 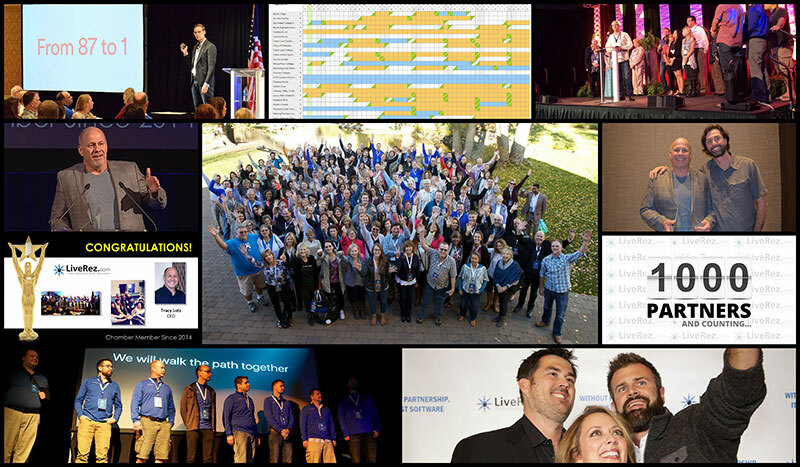 In its second year, the LiveRez Partner Conference grew by leaps and bounds. Attendance nearly doubled from the first year, as professional managers came in droves to Sun Valley, Idaho from all across North America for five unforgettable days. Check out the video below to see a glimpse of how amazing the conference turned out. In 2015, we pioneered a direct integration with Airbnb. In the video below, Airbnb’s global head of vacation rentals Shaun Stewart explain why Airbnb chose LiveRez from 87 different software providers it researched. This year LiveRez took home the Boise Metro Chamber’s 2015 Travel Industry Excellence Award. One of the biggest highlights of the day was LiveRez CEO Tracy Lotz’s acceptance speech. We may be a little biased, but we think it was easily the best of the awards banquet (and if the buzz on Twitter was any indication, we think others agreed). 2015 was a huge year for new technology at LiveRez, and 2016 is going to be even bigger. At our Partner Conference in October we dedicated a whole session to the new and upcoming technologies at LiveRez. We kicked off the presentation by debuting the video below. Just days after the Partner Conference, we headed to the 2015 VRMA Annual Conference in New Orleans. But, when it came time for our gold sponsor speech in front of the entire conference, we decided to let out partners do the talking. It resulted in a moment we’ll never forget. LiveRez CEO Tracy Lotz is one of the most patriotic people you’ll ever meet. His gift to the world this past Fourth of July was a tool that allowed anyone to overlay an American flag over their profile photo on their social media channels. The tool went viral, with hundreds of thousands of people using it in just days. In the video below, Tracy tells a local television reporter the story behind the app. Giving back is a big priority here at LiveRez. So, when we were introduced to Full Circle Exchange – a nonprofit that empowers women to rise above poverty – we were instantly inspired by the work they do and wanted to help. Multiple LiveRez employees started volunteering hours, and LiveRez become a corporate sponsor. Full Circle Exchange CEO Mark Priddy even spoke at our Partner Conference. If you haven’t seen his speech, check it out below. It’s a moving testament to the incredible work they do. Legendary UCLA Mens Basketball Coach John Wooden once said: “The star of the team is the team.” And, that couldn’t be truer at LiveRez. This year we added many amazing new members to our team that helped us have one of the best years on record. But 2015 wasn’t all work for the team; we did get out and have a little fun, as you can see in the video below of our recent Christmas party. This year LiveRez really kicked up its education program. A big part of that was offering two different training workshops at its corporate headquarters in Boise. Managers came from all over the US to get hands on training from the LiveRez team. This was in addition to annual Partner Conference and the hundreds of live webinars given throughout the year. 2015 was a great year. 2016 is going to be even better!